Me Time....: Girls on Tour - Bulgaria style! 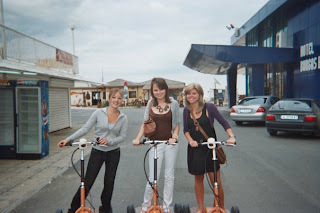 After coming across the competition on Thomas Cook it inspired me to write down my embarrassing and fun travel story of me and the girls in Bulgaria! The competition ends on Monday and a winner will be announced on Tuesday, with the winner receiving a shiny new Kindle!!! For more details check out the Thomas Cook page : http://book.flythomascook.com/news/Write-and-Win-a-Kindle--998/. 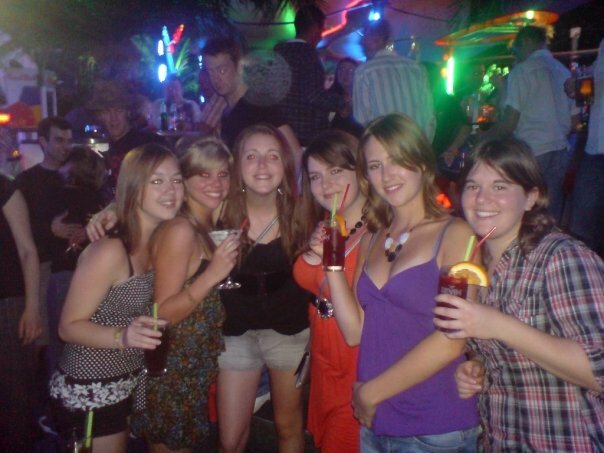 I thought long and hard as to which holiday story to relive and after a catch-up and walk down memory lane with my oldest pal, we concluded that it had to be our Holiday to Bulgaria in 2008. Everything about the holiday was spontaneous- right down to when we booked it, which was on a hung-over Saturday morning, our university loans had come through and we were on the prowl in town for some greasy food relief and as we were walking we noticed an offer in Thomas Cook window- Within half an hour our details were process and our Bulgarian holiday was booked, it’s not every day I hand over £300 without any qualms or thoughts, but we really needed a treat to help us overcome our headaches!! We managed to persuade another of our friends to book on so flying out in September was me, Leanne and Sam- 3 girls ready for adventure! An adventure is what we got!! Firstly, we missed our transfer to the hotel as we stupidly got the times wrong and were far too giddy, this meant we were running around Sofia airport trying to work out where we had to go, how much taxis were, how long the wait would be and so on! This was a struggle in itself with the language barriers. By some stroke of luck we bumped into a group of 4 girls who were staying at a hotel down the road from us who had also missed the bus! We soon got chatting and booked a mini bus to take us there and a great friendship began to form! We then spent the whole holiday with Nicola, Sarah, Laura and Evie and they really did help make it a holiday to remember – Thanks girls! After one crazy night out we left the club to be greeted by a huge downpour of rain – it was torrential!! It was crazy to think in the day we had been sunbathing and then hours later we were soaked! Everyone from the club was running towards the hotel in the rain, it was hilarious!! It was a swarm of holidaymakers all running around like headless chickens – I mean half of us were British so surely we were accustomed to this sort of thing?!! After the excitement of running back to the hotel in the rain a few of the lads we met decided to jump in the pool and we had our very own pool party, with the added rain! The experience was surreal and one I will never forget! However, our favourite story from that trip has to be my awful Segway experience! After the torrential rain the weather had took a turn for the worse and the sun had gone in (turns out Sunny Beach isn’t always sunny!) so we decided to give the beach a miss and explore the local town and my friends though there would be no better way to explore than on Segways…. I’d like to add that I’m not a fan of anything that moves for me… that’s a long list which includes piggybacks, bikes and escalators so a Segway ride wasn’t on my list of things to do! I didn’t want to be left out so I rented a Segway also, we had “half an hour of fun” or so the sign in the rental place said, but for me it was far from fun! Firstly, my Segway was making a strange noise which didn’t help calm my nerves at all and the faster I got the more loud the ticking noise was. Then in my state of panic I couldn’t break as I was squeezing the handles bars and not the break bars so I was whizzing through a quiet town screaming thinking that it would never stop, one of the locals saw my panic and started running after me shouting “stop – faulty motor- danger”. Meanwhile my friends were in uncontrollable hysterics as they watched me have a panic! I finally came to a holt when I knocked into a parked motorbike which was rather embarrassing to say the least! It was then that I realised that there wasn’t a problem with the Segway it was just me being silly and not pressing the breaks! However, not wanting to seem stupid I went back and traded in my Segway for another one… WHICH MADE AN EVEN LOUDER NOISE!! Both my friends had smooth running, virtually silent Segway’s whereas I was lumbered with something that sounded like it was on its last wheels! After the embarrassment of what happened I made sure I was travelling very slow, in fact I was so slow that my friends had sped off in front having the time of their life whilst I shakingly rode through the town slower that a parked car. I finally made it to the rental shop where both my friends were waiting (still laughing their heads off) and breathed a sigh of relief… well until I was handed a late fine, turns out my slow speed didn’t pay off and I was 10 minutes late so I had to pay double for such a traumatic experience! Me and my friends still laugh about the story now and they can’t wait to get me on another Segway! Below is a picture of us moments after we purchased them…. If only I knew then what I know now!! It was a great holiday, I met some fantastic people and had a great time, and just thinking about it has made me want to book another holiday…. Right I’m off to find my passport – where do you recommend? !